The New American Commentary collects the best in contemporary evangelical scholarship in a series that examines the entire Bible in depth. The New American Commentary – New Testament Set currently offers 18 volumes of commentary on the New Testament. The New American Commentary – Old Testament Set currently offers 24 volumes of commentary on the Old Testament. The volumes of this set are also available individually - see below for links to the individual titles. Upgrade Pricing Available! 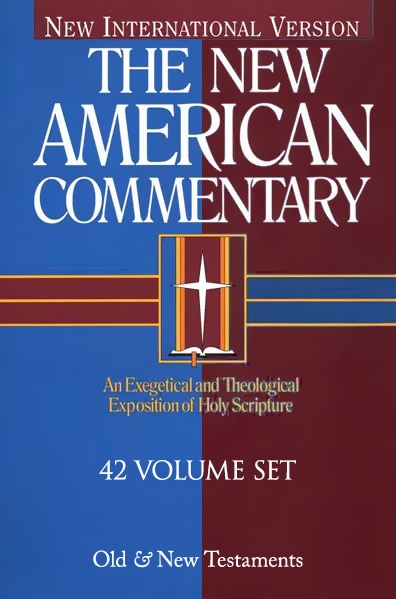 If you've previously purchased the New American Commentary or any other qualifying purchase, you can purchase this item for a special upgrade price. The upgrade price will be visible when you log in to your Olive Tree account and add the item to your cart (NOTE: Upgrade pricing is only available on www.olivetree.com, and not via in-app purchase).